The River Church: Missing Curt and Mary Jo! Missing Curt and Mary Jo! Sunday we said farewell to two of our most favorite people, Curt and Mary Jo Hencye. They have been serving here — at our church and community — since last September when the flood hit. Seven months of dedicated, back-breaking, focused work — overflowing with His love, His compassion, His heart. They came alongside and handled "everything disaster," which included organizing all the volunteer teams from all over the country who came and served here. Our heart as a church has always been to love God, love our community, and make His name great. 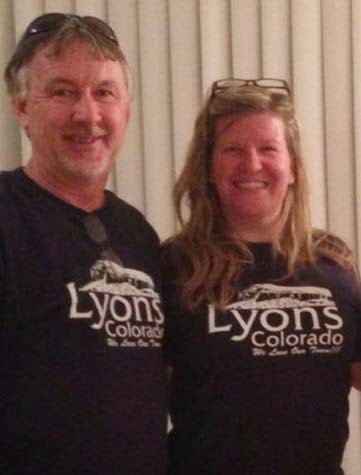 Curt and Mary Jo have done exactly that — they have made the name of Jesus great in Colorado. They truly were faithful to serve "anyone and everyone" in our town and proved to be His hands and feet. With the tornadoes that have recently hit in Arkansas, Alabama and surrounding areas, God is calling them to go and help where they are needed most. Even though their home church may be Calvary Chapel Sarasota, they are now our missionaries, too! We want to support them in every way possible. Please consider what you can do. 1. Pray. Please pray for His direction, protection and provision — everywhere they go. 2. Monthly Financial Support. As they head to their next assignment, their living expenses along with the costs of rebuilding will be great. We have seen the fruit of their ministry first hand. God opens hearts and doors in the midst of disasters like we have never seen before. We highly recommend giving to them — generously! You can support Curt and Mary Jo through their links. You have become more than just friends, you are now a big part of our family. We sincerely miss you already and will be forever grateful to you! Know our hearts are with you, everywhere you go! Hoping to see you again sooner!